I would like to urge yourself, all citizens, and Costas Menegakis to speak out against Bill C-51. The government’s secret police Bill C-51 is reckless, dangerous, and ineffective: reckless for turning CSIS into a ‘secret police’ force with little oversight or accountability; dangerous for opening the door to violations of our Charter Rights including censorship of free expression online; and ineffective because it will lead to dragnet surveillance and information sharing on innocent Canadians that even Stephen Harper has admitted is ineffective. The more Canadians learn about what’s in this bill, the less they like it – that’s why opinion is changing so fast. Before Canadians knew what was in Bill C-51, 17% opposed it. Three weeks later, they found out. Now, 50% oppose it. Over 110,000 people have already spoken out. If the bill passes, your sensitive private information would be shared between no fewer than 17 government agencies and even handed to foreign governments including sensitive information that can reveal everything from your financial status, to your medical history, your sexual orientation, and even your religious and political beliefs. And to top it off, victims of these privacy breaches wouldn’t even be informed – that means the government could spy on anyone, at any time, and we wouldn’t even know when we’ve been a victim. 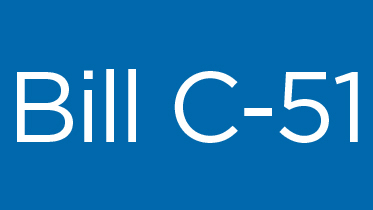 The government has admitted Bill C-51 is fundamentally flawed, so they must withdraw the legislation, go back to the drawing board and start over. Do we really want the government to create a shadowy and unaccountable secret police force that will trample on innocent citizens’ freedoms?